Who thought an art native to the most significant American Indian tribe would hold such great importance even when hundreds of years have passed by. Dating back to more than 500 years, Navajo art hasn’t lost even a chunk of its essence and has been a medium of great inspiration to people who truly understand art and creativity. Derived from the phrase ‘Teva Navahu’ meaning highly-cultivated lands, Navajo art beautifully portrays the varied and colorful culture of Navajo people, the American Indian tribe native to the Southwestern US states. Their fine art depicts ideas that hold utmost importance to their culture and lives such as nature, crops, rain, lightning, animals, etc. Interestingly, with the help of modern technology, this art has been brought to the lives of urban masses, allowing them to embrace the creative pieces and symbols created by the Navajo tribe. 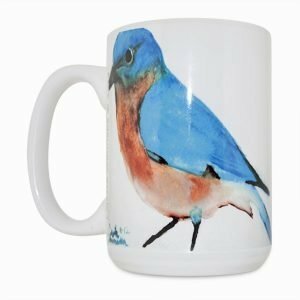 Combining the most widely used stuff – a coffee mug – with the beautiful Navajo art, Navajo Artist has designed Navajo art mugs, serving the purpose of drinking coffee with a taste of indigenous art. Holding a plethora of mugs with prominent designs and symbols of, we give you the best of Navajo Indian art on coffee mugs. Our each coffee mug represents the diversity and richness of art that grabs your heart and evokes emotions in you. Gift yourself the best of the Navajo art mugs and embrace the beauty of this indigenous art.